The Court Theatre, just steps away from the center of campus, is hearkening to its roots this fall with Aeschylus’s Agamemnon. The second of three Greek tragedies that tell of the strife and sorrow of the House of Atreus, Agamemnon is the story of the homecoming of the great Mycenaean king Agamemnon (Mark L. Montgomery) after his victory in the Trojan War. His cunning wife, Clytemnestra (Sandra Marquez), has spent his 10-year absence lusting for revenge for the sacrifice of their daughter to the gods. The play is a new translation designed specifically for the production by University of Chicago Classics Professor Nick Rudall. In 1971, Rudall became Court Theatre’s founding artistic director, a position he held for 23 years. Now he is back, armed with a fresh translation that shows a keen understanding of how the theatrical tradition has evolved since it was conceived in Athens 2,500 years ago. Rudall’s project of translating Agamemnon has long been in the works. 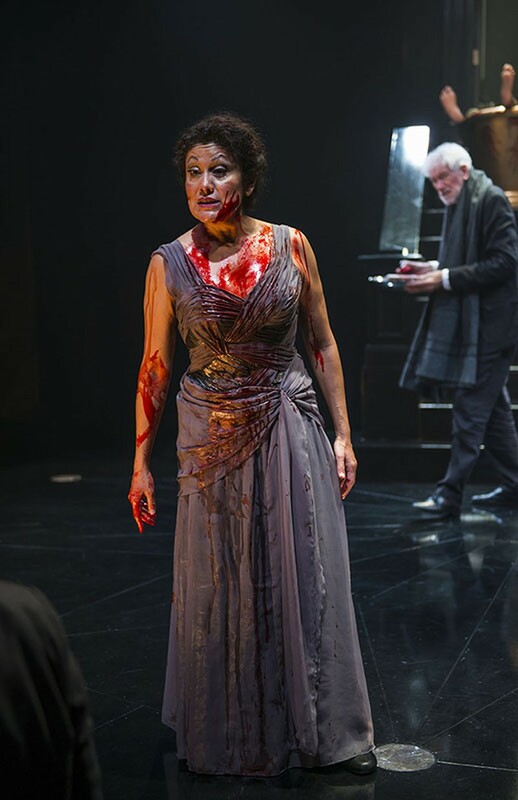 One of my favorite translations of the play was also written for the Court Theatre stage, in a 1986 production of the Oresteia (for which Rudall served as artistic director). The translation of all three parts of the Oresteia by David Grene and Wendy Doniger O’Flaherty was similar to Rudall’s in its decision to prioritize speech and clarity in the text over poetry and rhythm. As Rudall explains in his introduction to the Grene and O’Flaherty translation, two of the biggest problems to overcome in translating an ancient Athenian tragedy for the stage are language and the presentation of the chorus. In Rudall’s translation, he opted for a more contemporary language that conjures up images recognizable for a modern audience. For example, Agamemnon’s decision to sacrifice his daughter was a “noose” around his neck rather than a yoke. In staging the new translation, Rudall treated the chorus in a very different fashion. While the Grene and O’Flaherty translation kept to the original 12 chorus members, Rudall reduced it to just a handful of old men and a boy. In doing so, he made them into distinct characters instead of just a mass of people simply commenting on the action of the play. In Classical Athens, the audience expected the chorus to direct their words at them, to give them background, to show them how to regard the actions of the other characters on stage. But in modern America, audiences like to watch a story unfold rather than have the story told to them. Rudall’s solution to this was to reduce the chorus to the minimum number of actors needed, and then to provide them with someone to whom they could tell their stories: a boy. This worked wonderfully, especially as the boy was also used to highlight the motif of children and the rising generation coming to avenge the actions of the old. Agamemnon plays now through December 6. Tickets are sold to University of Chicago students at $15, with a limited number of rush tickets sold at five dollars at the box office an hour before the show. Check the Court Theatre’s website for regular ticket rates, show times, and other information.